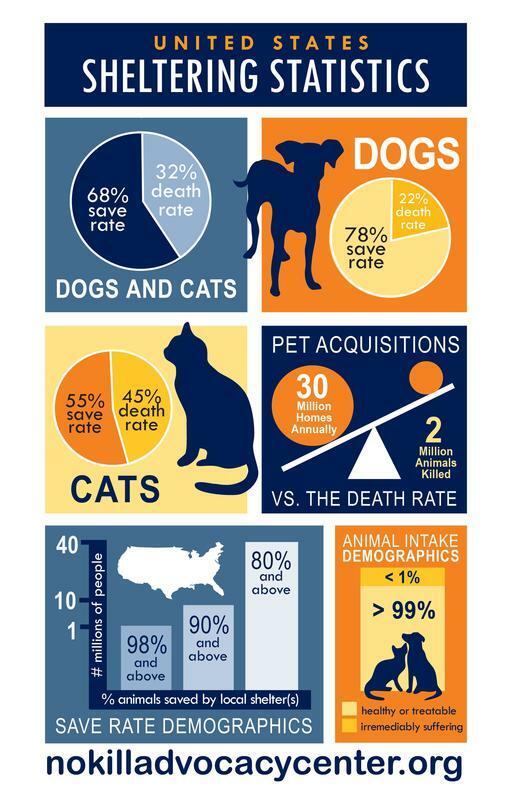 ﻿​If every animal shelter in the United States embraced the No Kill philosophy and the programs and services that make it possible, we would save over two million animals who are scheduled to die in shelters this year, and the year after that. ​It is not an impossible dream. The number of animals killed in shelters is at an all-time low, the number of senior pets in people's homes is at an all-time high, the number of No Kill communities is on the rise. And they all got there the same way, by implementing the programs and services of the No Kill Equation. A No Kill nation is within our reach. ﻿There are some shelters that claim a 90% live release rate is No Kill. In reality, achieving a 90% rate is the start of shelter reform and modernization, not the realization of it. While we should celebrate the increasing success of cities with a 90% or better live release rate, the goal of the No Kill movement is not to reduce killing to some consensus-based level, such as 10%. It is to end killing for all animals who are not irremediably suffering, rigorously defined. ﻿Animals enter shelters for a variety of reasons and with a variety of needs, but for over 100 years, the “solution” has been the same: adopt a few and kill the rest. The No Kill Equation provides a humane, life-affirming means of responding to every type of animal entering a shelter, and every type of need those animals might have. Some animals entering shelters are "feral" cats. At traditional shelters, they are killed, but at a No Kill shelter, they are sterilized and released back to their habitats. Some animals entering shelters are motherless puppies and kittens. At traditional shelters, these animals are killed as well. At a No Kill shelter, they are sent into a foster home to provide around-the-clock care until they are eating on their own and old enough to be adopted. Some animals have medical or behavior issues. At a traditional shelter, they are killed. At a No Kill shelter, they are provided with rehabilitative care and then adopted. Whatever the situation, the No Kill Equation provides a lifesaving alternative that replaces killing. ​About six million animals enter shelters every year. Approximately 2 million animals (32%) are killed (roughly 22% of dogs and 45% of cats). Less than 1% of shelter animals are irremediably suffering. Over one million people live in communities saving between 98% and 99% of dogs and cats in their shelters (over two million saving at least 98% of dogs). Over 10 million people live in communities saving between 90% and 99% of dogs and cats in their shelters. ​Over 50 million people live in communities saving at least 80% of dogs and cats in their shelters. How can a shelter fix a problem they refuse to admit exists? They can’t. They don’t. And they won’t. So you will have to do it for them. 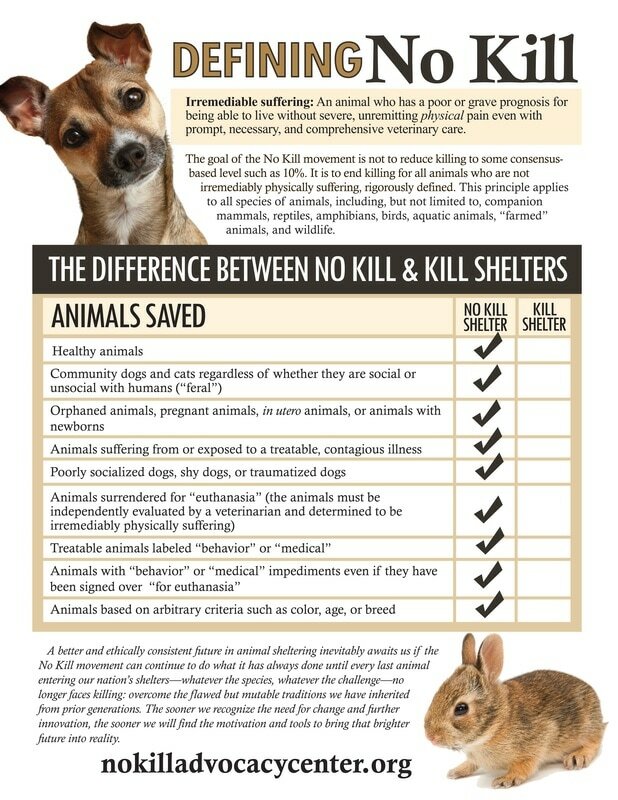 Our free No Kill advocate’s Toolkit will show you how. 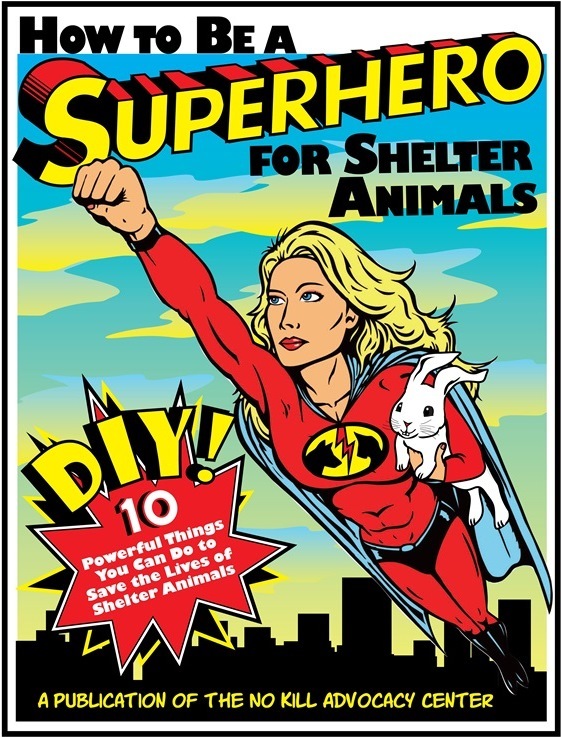 There are many ways to help achieve a No Kill community. You can force the shelter to change by passing legislation. You can engage in political advocacy. You can rescue animals directly from death row and find them homes yourself. You can take over the shelter. You can create a national campaign. And more. When others won’t, you can always Do It Yourself! At the No Kill Advocacy Center, we’re big on empowering the grassroots.